Register your 4th-9th Graders today! LEAD camp featured on Great Day Washington show! Campers will spend half of each day exploring what it means to be an entrepreneur and learning valuable problem solving, leadership, presentation and public speaking skills. Together campers will launch a product or service using the skills and tools learned through our daily team challenges, interactions with guest entrepreneurs, and weekly “Shark Tank” style pitch competitions. The other part of the day will be athletic development. Campers will be able to work on their speed, agility, flexibility, balance and movement efficiency all in a fun competitive manner at the LEAD camp. Whether it’s team sports, playground games or training on the agility ladders each day will bring a new challenge. In addition, each session will end with our sports field day! LEAD Camp was created by local entrepreneurs and youth sports experts Steve Sclafani and Rob Naddelman, who turned their passion for sports and helping kids into Factory Athletics after graduating from University of Pennsylvania over 20 years ago. Where is LEAD Camp being Held? Lead Camp will be held at Washington Episcopal School in Bethesda, MD. Campers will have access to air conditioned classrooms and state of the art athletic turfed facility. 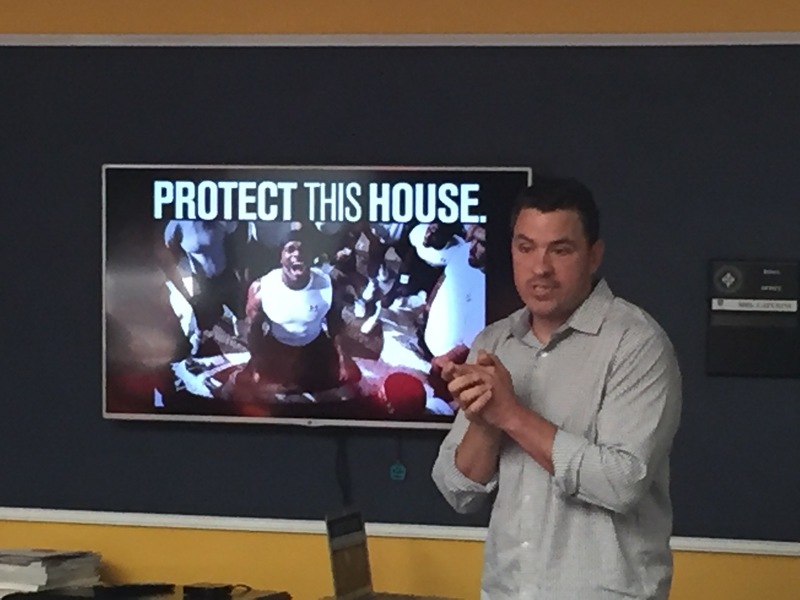 Your child will listen, learn and work with the man who developed “Protect This House” and learn how branding helped drive the incredible growth of Under Armour. Fitlight trainer – measures reaction time, speed, agility, coordination – all measured for immediate performance feedback and is just plain fun!!! 3 Ways to Save $50! *Paid in Full ($50) discount. $400 deposit for each session is non-refundable. If paying deposit to reserve a spot, full payment due by June 1, 2017. When you use a credit card for the reg deposit you authorize LEAD Camp to charge the remaining balance on May 2. After June 2 there are no tuition refunds. A portion of proceeds will be donated to Factory Athletics Foundation. ©2016 Lead Camp. All rights reserved.